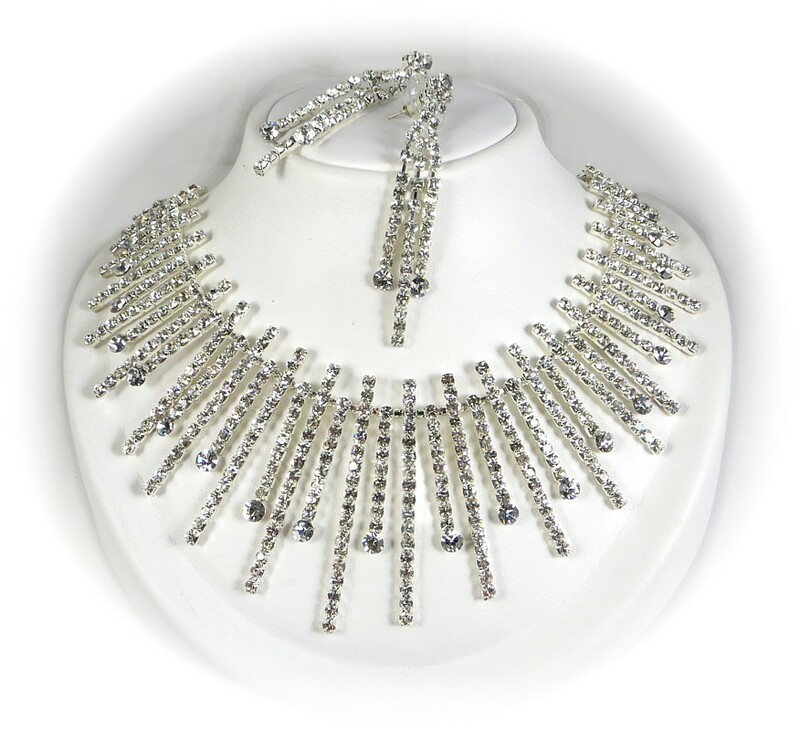 As the name suggests, this is an absolute head-turner of a necklace and earrings Set. Created using long, jewelled bars, interspersed with shorter bars with circular ends, the necklace forms a dramatic collar that sits around the base of the neck, creating a shimmering frame for the face and giving a major lift to any outfit. The long, dangling earrings echo the necklace and finish the look to perfection. Sizes: 39cm (15½") Earrings: 7cm (2¾").